From wellbeing support to social life and teaching quality we’ve been judged fourth in the country for student experience. Teaching quality, facilities, pastoral support and our campus environment we all highlighted as key factors in contributing to the student experience according to the latest Times Higher Education ranking. The University has been ranked number four nationally and number one in the south west for student experience according to the latest Times Higher Education Student Experience Survey 2018 released today. 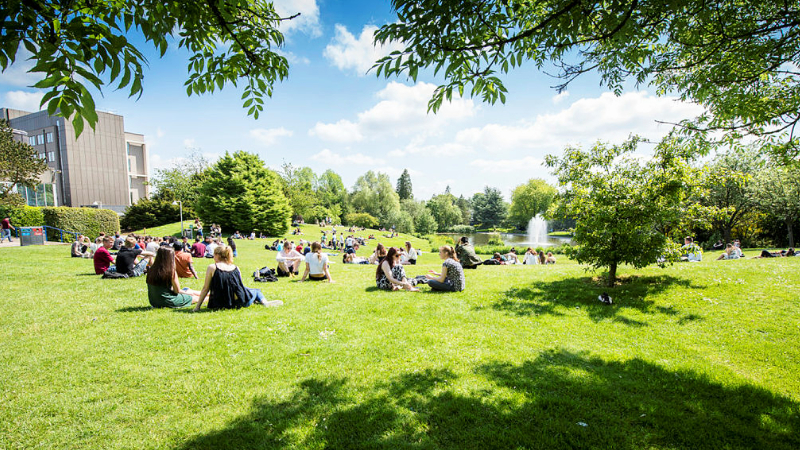 The ranking, which surveyed more than 20,000 undergraduates across 122 institutions nationally, polled students across 22 core aspects of student life – from wellbeing support, to facilities, campus environment and teaching quality. We scored highly across a range of measures including: providing high quality facilities (2nd); enabling good extra-curricular activities and societies (2nd); for safety and security (2nd); our industry connections (3rd); meeting students’ personal requirements (3rd); and offering a good campus environment (3rd). Today’s position complements last year’s Gold in the Teaching Excellence Framework (TEF), our ranking in the Guardian University Guide 2018, which placed the University 5th, and the fact that University is The Times and Sunday Times’ Sports University of the Year 2018. In addition to support provided to students while studying with us, employability for our graduates remains very high thanks to our successful placement schemes - the majority of our students benefit from placements during their studies with us. As a result, when compared with the national average, our graduates enjoy a starting salary on average £4,500 higher and more of them go on to secure jobs in the top three occupational groups. Pro-Vice-Chancellor (Learning & Teaching) Professor Peter Lambert said: "We’re delighted to be recognised as a top four university for student experience by the Times Higher Education. This accolade really is in recognition of the efforts of teaching colleagues around the University who provide outstanding learning opportunities to our students, our professional services, estates and facilities staff who contribute so much towards our campus community, and of course the strong working relationship we have with the Students’ Union. “I believe what we offer here really is very special. Students at Bath benefit through the combination of excellent teaching, inspiring research, world-class facilities, including for sports and the arts, strong personal and academic support throughout their studies, and our successful placements scheme which boosts their chances of employment in their chosen profession." The Survey is divided into 22 different measures that define student experience with respondents asked to rate how their university performed using a seven-point agreement scale. It has been run in partnership with market research agency Youth Site since its inception in 2005. This year, for the first time, three-year rolling averages were applied, enabling analysis of longer-term trends. For an institution to be included in the rankings there was a minimum threshold of 50 respondents. THE ranks Bath Top 4 for Student Experience from University of Bath on Vimeo.